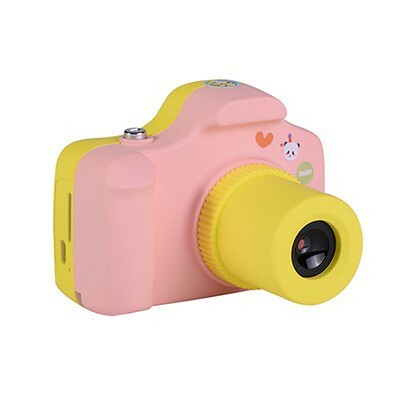 Following up on a previous post on how I love to get the kids (they are currently 3+ and 1+ years old respectively) exposed to photography by passing them my gear , I recently, came across this camera built for children that literally ticked off almost every single box on my checklist. *disclaimer: I am just sharing here and this isn’t an advertorial post and I fully paid for the pair of Amkov cameras you see my girls holding. I have zero idea who even makes them and I don’t really care about that. So yeap, here we go. 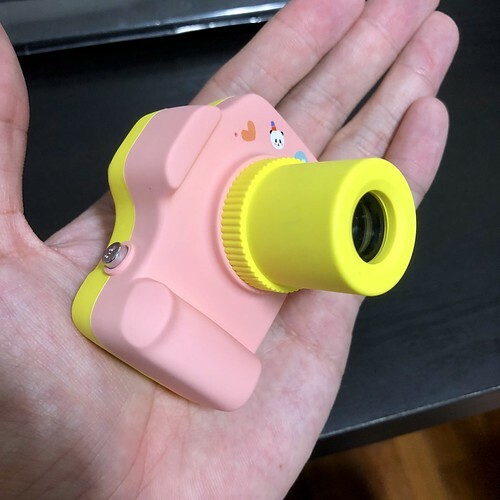 The Amkov Kid’s Creativity camera. A note first, I realised later these are generic cameras, literally bought by companies who stamp their brand on it to resell. For example Singapore online stores sell them Amkov branded and Amazon sells them as Camking branded and they should be cheap, not close to some retailers that tries to sell the same thing for USD80 upwards. I paid around USD30 plus per cam if you need a guide figure. A quick list of the specs of this camera that kinda ticked off my checklist for a kid camera. Good ergonomics, even Lynn at 1 year old took lesser than a min to figure out the on/off switch and shutter button and she was soon shooting away with wild abandon. 2592×1944 photo resolution with build in photo collage templates , with date and time stamp. Video recording:1920x1080P, 1GB SD card can be recorded 10 minutes. Kinda decently tough, its covered by this soft kind bouncy texture rubber material. 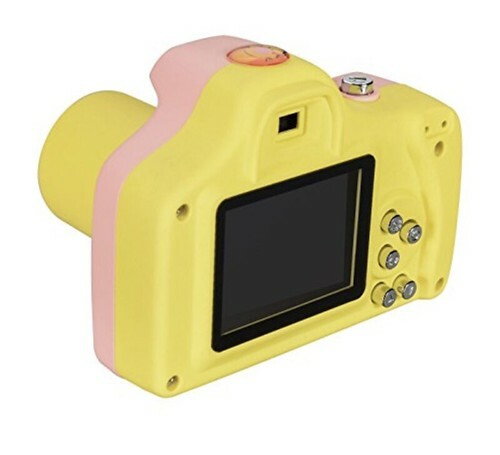 It won’t survive a wash in the machine that even $10,000 cameras can’t but it definitely has survives the customary drops my kids subject them to. Charges by microSD, so you really get a super portable one without the need for yet another extra charger. The buttons behind all work , allowing u to navigate that super simple menu, playback and switch the camera on and off. And of course, its not perfect. 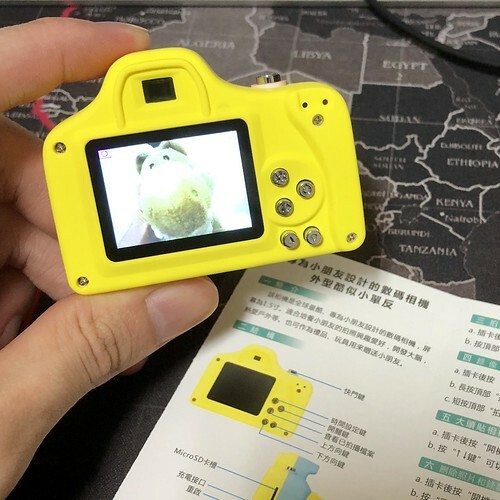 For one, do not expect to print from the images taken (it has a 5mp equivalent sensor) and nope, there’s no wi-fi transfer for the demanding you. Nope, the EVF doesn’t work. Seriously , you don’t expect an EVF at USD30 and lastly, one cannot switch off the shutter sound, which isn’t as irritating as what one gets from a Sony A7 or A7R but ya, don’t expect to have much peace at home with the kids shooting away. But yes, at this price and what I realised that both girls keep shooting with it, getting themselves acquainted with composition and handling the basics of camera – I am gonna say this is pretty one of the most ‘suitable’ cameras you can ever find for children without risking a breakage that might cost you $500 in the pocket to repair. And yeap, decent image quality as good as a medium low end camera phone nowadays. Seriously, how can one not get besotted with this. Previous PostWalking through the diversity of Singapore’s nature areas with Fujifilm (part 4) – Is Fujifilm capable of photographing wildlife? Next PostA 800 word review of the Fujifilm Instax Wide 300: Better than Instagram and your social apps.